On the 12th of March – Lilya (10yrs), Robin (10 yrs), Ann (8 yrs), Leah and Lila (both 13 yrs) cut their hair for The Little Princess Trust. It is a charity that makes real hair wigs for children who have lost their hair due to cancer treatment. 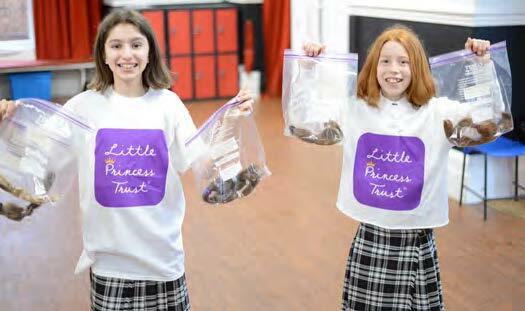 Lilya donated her hair 2 years ago to the trust but this time wanted to raise more awareness for the cause. Therefore she decided to cut it in front of the whole school (Copthorne Preparatory School) and raise money as well. Her headmaster Mr Jones very kindly agreed to this and suggested she try to encourage others to join her. Lilya talked passionately in assembly about why this cause was so important to her. 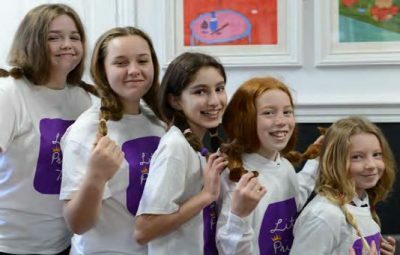 She talked about why it was such an important gesture because her hair was so precious to her and so thought of other children losing theirs made her feel ‘distraught’. Clearly her talk resonated with some, as 4 other brave girls joined her to cut theirs. So from the youngest Ann to Robin and to the oldest Leah and Lila, they arrived on the 12th, nervous but excited. 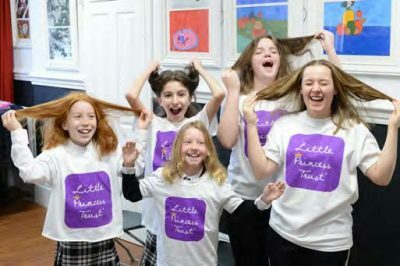 Our wonderful volunteer hairdressers (Jude and Kay) were at the ready with their scissors and one by one the girls had their pony tails cut off with the whole school chanting ‘Off with her hair – OFF! OFF! OFF!’ And with each chop they enabled another little girl or boy to be the recipient of some lovely locks that these girls had so careful grown over the years. After school the girls sold cakes to raise money for the charity and they raised £123 with all the cakes they had made and sold. Lilya had also been making and selling slime and raised £176! Altogether with donations the girls received, they have collectively raised £1684.30!!! This has been a fantastic team effort from the girls, Copthorne Prep, the school children, the headmaster Mr Jones and his PA Kathryn Billingham-West.